Wednesday Flip Night at The Front Porch! Oh yes, Denver, it’s your favorite day of the week! It’s Wednesday, so that means it’s Flip Night at the Front Porch. Order a drink – or many. 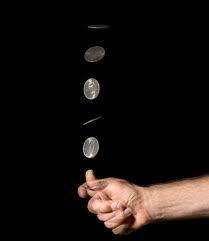 Guess the coin toss correctly and your drinks are free! See you tonight!